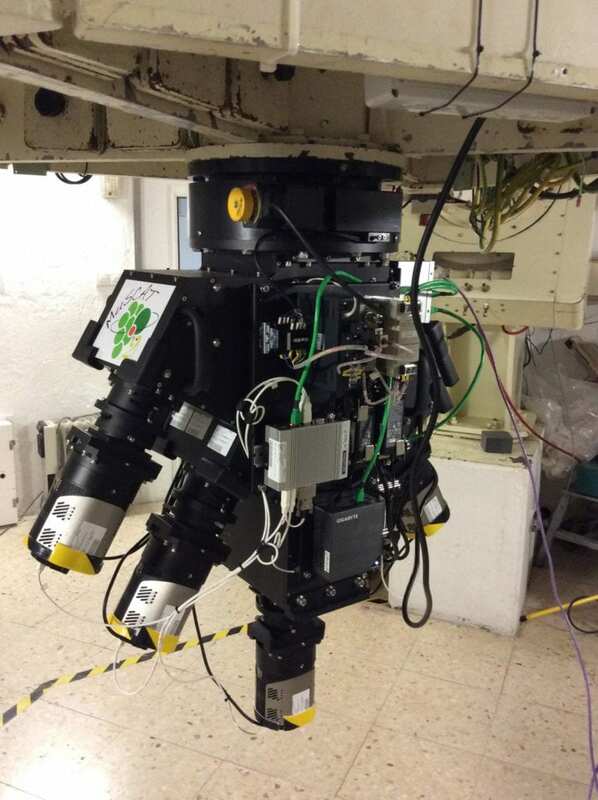 A Japan-Spain team has developed a powerful 4-color simultaneous camera named MuSCAT2 for the 1.52-m Telescopio Carlos Sánchez at the Teide Observatory, Canaries, Spain. The instrument aims to find a large number of transiting exoplanets, including Earth-like habitable planets orbiting stars near the Sun, in collaboration with NASA’s Transiting Exoplanet Survey Satellite (TESS) launched in April 2018. In April 2018, NASA launched a new satellite named Transiting Exoplanet Survey Satellite (TESS) to discover new exoplanets around stars near the Sun. TESS finds exoplanets by observing planetary transits, a phenomenon in which a planet passes in front of its host star and blocks part of the star’s light. Transiting exoplanets are especially valuable targets for exoplanet studies, since they provide information about the true mass, radius, density, orbital obliquity, and atmosphere of such planets. However, transiting exoplanet candidates discovered by TESS are not always real planets. An eclipsing binary, a pair of stars orbiting and eclipsing each other, can also produce transit-like signals. For the TESS mission, the false positive rate caused by eclipsing binaries is predicted to be 30-70% depending on the direction observed. Follow up observations can help distinguish actual exoplanets from false positives. Multi-color transit observations are one way to separate exoplanets from eclipsing binary stars. This is because in the case of an eclipsing binary, the light coming from the system changes color as it dims, while for an exoplanet transit the light stays the same color as it dims. For this reason, an international team, consisting of Japanese researchers from the Astrobiology Center (ABC) and the University of Tokyo and Spanish researchers from the Instituto de Astrofísica de Canarias (IAC), has developed a 4-color simultaneous camera named MuSCAT2 (2nd generation Multi-color Simultaneous Camera for studying Atmospheres of Transiting exoplanets) on the 1.52-m Telescopio Carlos Sánchez at the Teide Observatory, Canaries, Spain. The team will use MuSCAT2 more than 162 nights per year until at least 2022. They will work to confirm a large number of new transiting exoplanets, including Earth-like habitable planets orbiting stars near the Sun, in collaboration with the ongoing TESS mission.